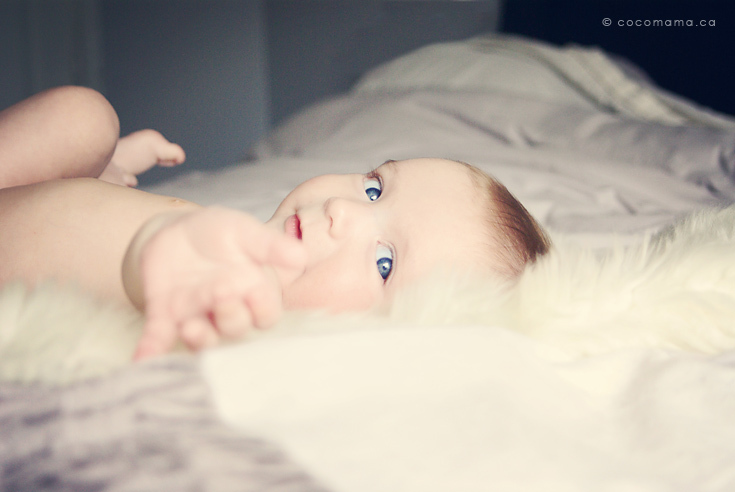 I always hesitate doing baby photography. I think it’s because I automatically picture children in ladybug costumes sleeping in plant pots and over-sized fabric daisies. I’m not sure why my mind goes there exactly. Limited art exposure growing up in rural Alberta? Maybe. But I’m trying to get over the fear of becoming Anne Geddes. I don’t have to be that kind of photographer, right? 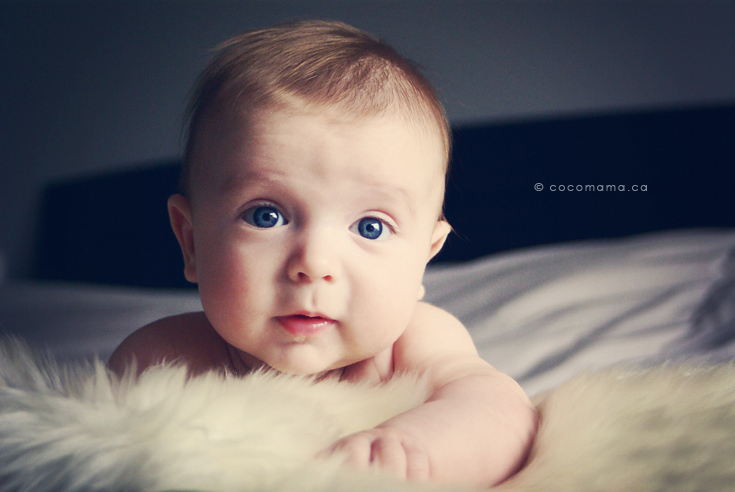 Last week I photographed my husband’s cousin’s 3 month old (got that? ), the adorable Joseph. 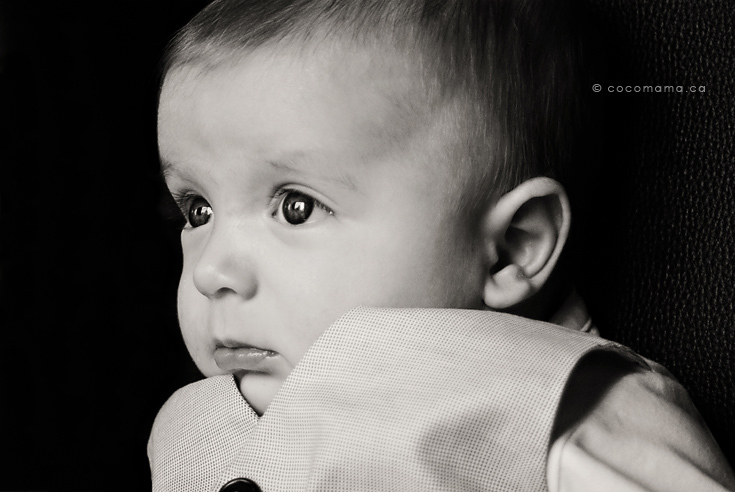 Even though he ended up not being a happy camper for the majority of the shoot, I caught a few good moments. I’m learning that baby photography can be precious without being tacky (I’m not Anne Geddes!! YEY!! ).